Oh Katniss. You’re the heroine we all need, and strive to be. You bravely volunteered to go fight for your area to be saved from starvation, and saved your sister. With the popularity of both The Hunger Games books and movie series, a Katniss Everdeen Halloween costume is sure to be on many wish lists. This is also great for Cosplay. 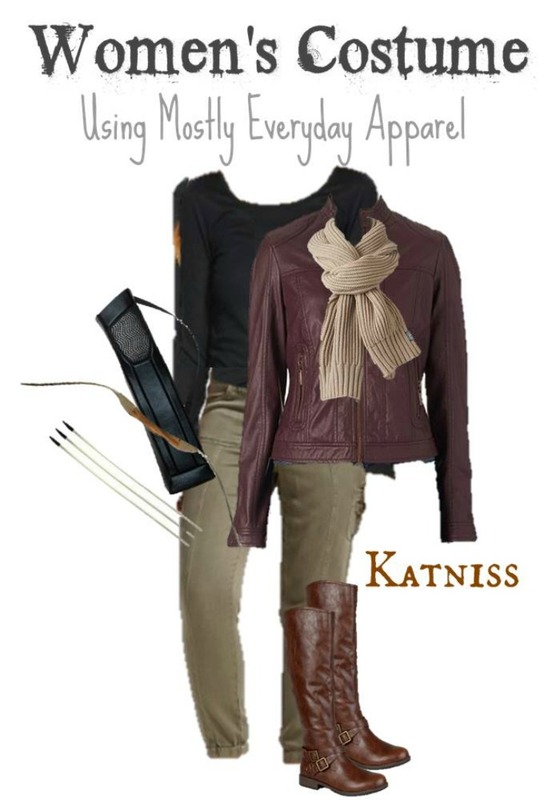 You can create your own Katniss Everdeen Halloween costume, though, fairly easily. 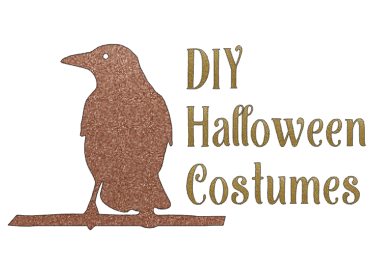 This DIY Halloween costume uses items that can generally be found in your closet. And if they’re not in your wardrobe now, they’ll look great there after Halloween. We’re using items from The Limited, Target, Kohls, and Amazon. The items are reasonably priced, especially when you consider that they’re pretty stylish on their own. Links may be affiliate links. Knox Rose Chino Pants ($20) – The perfect pants for Katniss. These are close to selling out though, so here’s a good alternate. Black jeans would also work. Long Sleeve Tee in Olive ($35, on sale for $17.50) – This is such a great basic wardrobe staple, that you need this tee. Here’s another great option ($15, on sale for $10) that comes in about 15 colors. Jou Jou Mockneck Faux Leather Jacket ($58, on sale for $40) – This is one of the defining pieces for a Katniss Everdeen Halloween costume. It’s also an amazing statement piece for your fall wardrobe that makes any t-shirt and jeans look uber cool. Journee Collection Buckle Detail Boots ($55) – A great pair of riding boots should be in everyone’s wardrobe. Wear ’em for your Katniss costume, then pair with leggings, skirts, dresses, and skinny jeans. These are brown, but also come in two other colors. Converse Oblong Oversized Scarf ($40) – This is a great addition to your costume, as Katniss wears a cowl frequently. And who doesn’t need a scarf? Shown in Malt, but any of the 3 colors would be a good choice. The Hunger Games Katniss Quiver ($10) – Where would Katniss be without her quiver and bow and arrow? I think we all pretty much know the answer to that. It’s the details that really pill a costume together, and this quiver is one of those details. Youth Wooden Bow and Arrow Set ($14) – This is the final finishing touch for your Katniss Everdeen Halloween costume. You can’t be Katniss without a bow and arrows. Simply do a loose, messy braid for your hair, and you’re good to go. This Katniss Everdeen Halloween costume is great for those into cosplay, too.